This Two-Day, Hands on, No BS Seminar Reveals the Ins and Outs of Generating Cash Flow to achieve financial freedom in lightning speed. This 2-Day Training Will Be Unlike Anything You’ve Ever Experienced! You’ll spend 2-days together with Industry Expert Robert Woodruff, going step-by-step through the process of cashing your first, or next, Cash Flow profit check in today’s Real Estate & Personal Property market! This is your chance to lock yourself in a room with a real estate investing veteran with over 20 years of experience and his exceptional team as they train you on exactly what you need to do to cash your next Cash Flow check in the fastest time possible! This is not a sell-a-thon so there are no outside speakers, this is 2 days “LIVE” hands on training! It’s 2 solid days of NO B.S., what works now, training. We’re setting the room classroom style, so we can really dig deep and get to work on your business. The Keys to Cash Flow Training will be unlike any event you’ve ever attended. After these 2 solid days of fact filled, no B.S., reality based training your business will never be the same again. International Industry Leader Robert Woodruff; owner and founder of The North American Real Estate Investors Association, and Charleston Real Estate Investors Association will be there to train you how to build wealth and will be doing live deals with students in the classroom. Robert will have your phone ringing with motivated sellers on the first day of class! This will give you an unfair advantage like nothing else can (even if you don’t live locally, the same principles apply across the United States, Canada and any international market!) Robert will also be teaching strategies for Wholesaling properties in the US and International. Robert will be available to sit with students one on one to help you close your next deal or just help you overcome obstacles that might be holding you back. Robert will be teaching strategies for creative marketing, creative financing, and cash flow fundamentals that real estate investors use to buy houses and commercial property. The Keys to Cash Flow is the missing link between single-family residential and commercial investing. Be One and Done with Commercial Investing! Robert will discuss which commercial deals cash flow best and how just one deal can allow you to quit your day job in record speed. The Art of the Deal! You will also learn how to save yourself 10’s of thousands on every commercial deal with creative deal structuring. We’ll talk in depth about the funding sources and how they can provide funding on your next deal! In the field Marketing on the FIRST DAY, Robert teaches you how to understand the numbers in your Cash Flow deals, talk about how much you should pay for deals, evaluate properties & notes, field live calls, do live deals, market for leads in the field, and more! We train students how to do “in the field” marketing on the first day and Robert to use as “Live” examples of how to do a deal. If it closes, you keep 100% of the profits (all students will have the opportunity to create actual wealth at this LIVE event.). Robert Woodruff is going to pay for you to attend. Normally, the tuition for this 2-day training is $497 for North American REIA members and $997 for non-members. 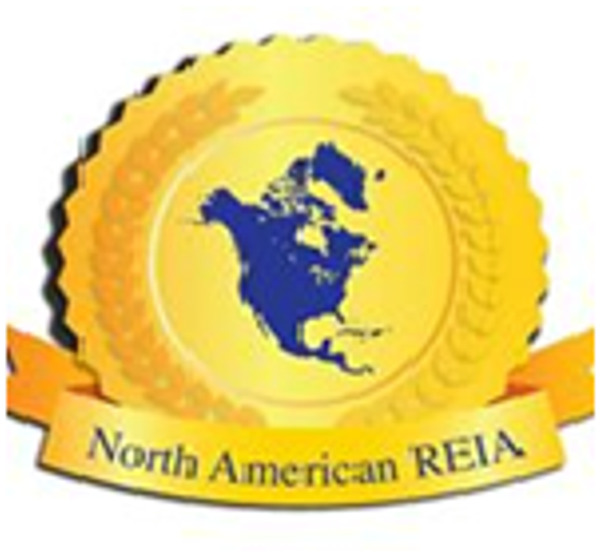 Robert Woodruff, owner of North American REIA has agreed to sponsor a limited number of attendees to this event. Robert is looking to personally work with a few individuals to be part of his “Financial Freedom” program, and be part of his new Book. Because you’re a part of Robert’s extended family and investors (you wouldn’t be seeing this page otherwise) and North America REIA is celebrating opening new chapters in SC and abroad, Robert decided to waive your tuition today, which means you can attend and learn for the entire 2 days for free! All I ask is that you register online and attend as promised as seating will be limited and we would not want to see someone not attend because another registered person did not attend. We ask you to register and confirm your attendance so we know for sure that you’re coming and we can prepare for your arrival appropriately. If you do not register prior to the event on this page you will be charged the normal price at the door. This is an incredible opportunity for you to spend 2 days on your business and leave with the tools you need to achieve your financial goals in 2016! Whether you are a beginner or a seasoned pro you probably realize the most important factor that will determine your success as a real estate investor is your ability to find great real estate investments. Today’s economic future is uncertain and it’s time to come together, understand what’s going on, learn the new rules of investing for success, and get back on track to financial freedom and achieving your dreams; which for most of us includes helping our families while helping others and making a difference. Have you ever wondered why those successful investors are continually finding and doing profitable deal after deal? Did you ever ask yourself what they look for and what they think about before they ever make an offer on any property? Have you ever thought about what makes a good deal and what is missing from the deals that you don’t want? Have you ever wondered how to buy wholesale properties while using other people’s money? If you answered “YES” to any of these questions, you will be glad to know that this is exactly what long time real estate investor and trainer, Robert Woodruff is going to teach to you at the North American REIA Keys to Cash Flow Training on March 12th & 13th 2016. Robert Woodruff will not only teach you the truths of real estate investing Robert will have “REAL” wholesale properties available for you to view and purchase at this event. Many of the properties are “Turn Key Properties” as low as 50% of fair market value. 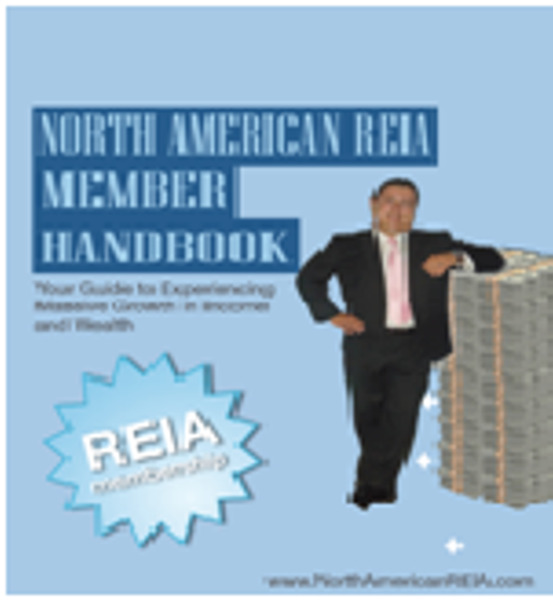 He will be going over how you can be an Affiliate of North American REIA and be part of its new Financial Freedom program. Robert will be not only be teaching the many, many techniques and strategies of the Cash Flow industry but Robert will be doing phone calls showing you “Live” how to profit from a cash flow deal. Robert is also looking for people to be part of tremendous growth of the North America REIA as a leader, chapter organizer or just may want to start your own chapter in your town. Robert and his team will be taking time to sit personally with students this weekend to discuss ALL of your investing needs. At the Charleston Real Estate Investors Association we scoured the map to find trainers who really understand what it takes to succeed in the new economy – because they are actually succeeding. They are practicing what they preach, and achieving by doing not just by teaching some theory that was out of date even before the economy tanked. We looked for people who were down to earth and didn’t promise pie in the sky get rich by working 10 minutes a day in your underwear from the comfort of your own home while making $25K per minute doing nothing! C’mon, we all know the types and the hype coming from these modern day gurus. We wanted real people, just like you, with families just like yours, who have ethics and morals, and have figured out what really works through dedication and hard work. Most importantly we wanted people who are willing to share what they know with you and help get you started at absolutely no cost –and believe me, there aren’t many people willing to do that!! So we are very happy to be presenting the The Keys to Cash Flow and Wholesale Property Liquidation Event for two days only with Robert Woodruff of North American REIA. Robert will reveal the whole truth based on his personal investing experience, and will tell you what works, as well as what doesn’t, when it comes to making money in today’s economy (refer to text above). Robert is a no frills, no-BS kind of a guy and has been very fortunate to have learned to create multiple streams of income and now wants to share that knowledge with you at this free event. The Keys to cash Flow is a creative financing Training that focuses on building cash flow using low risk investments; (Small Houses, Mobile Homes, RV’s, Automobiles, Boats, Heavy Machinery Etc.) This training provides all the creative marketing, creative financing, and cash flow fundamentals that real estate investors use to buy houses, personal property and commercial property. The Keys to Cash Flow is the missing link between single-family residential and commercial investing. Robert’s REI representatives will also be at this event and will have turnkey properties, wholesale properties, raw land, vacation property and foreclosed properties available for purchase many 50% below market value and several with financing. So whether you are looking to create new income while getting back into the real estate game with none of your own money or just looking to buy truly wholesale turnkey properties then this event is for you. We also will have a networking session where event attendees can network on properties they would like to buy or sell. This event is not open to the general public, attendance is by invitation only. • Create a personal action plan to access capital to launch your business. • Be part of “LIVE” phone calls and watch Robert negotiate the purchase of wholesale properties. Robert has agreed to help lucky students do live deals at this event to show you first hand how to do a deal right. Will that be you? This event is strictly limited to a set number of people, and we’re doing it “classroom style,” not that squished in “theater style”. So, that means there will be tables to work on and room to spread out. We originally limited the event to 15 households but due to the nature of the training being more hands on. Due to overwhelming response to the training at our NAREIA Mid Year Conference we are working on additional space with the event hotel but can only possibly accommodate an additional 15 households. Remember when you register you may bring either a spouse, family member, guest or partner for free but you must register to attend and include their information as well. Once we have filled the seats we will be cutting off registration. IF YOU ARE NOT REGISTERED YOU WILL BE TURNED AWAY AT THE DOOR. This training is only held once a few times a year, this will be the last one for this year. The last time we held this training, we sold out weeks in advance and it will fill up again, so don’t wait. This is your fair warning -don’t wait and miss out. 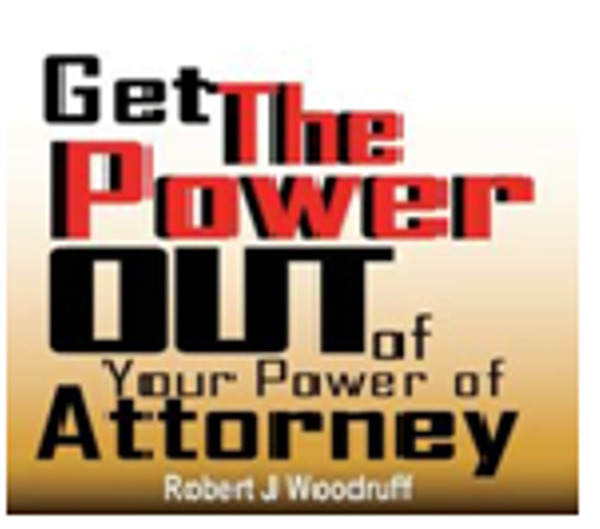 “How to Get the Power out of Attorney” is a simple, yet brilliant way of tying-up and controlling investment property. Using this strategy will save you tens of thousands of dollars each year acquiring property. It doesn’t matter whether the property is a mobile home, a stick-built house, land, or commercial property. The strategies in this program give you every right to a property without ever having to purchase the property yourself conventionally through a bank. Your attendance includes a NAREIA member handbook complete with instructions, strategies, and details on NAREIA’s free guest and members-only resources, and how excel in the Real Estate Investing Industry with us. You get dozens of valuable techniques on starting your own cash-flow business, disclosures and proven marketing pieces. This manual alone is worth the investment of your time in attending! Network with Investors, Entrepreneurs, National Speakers, Private Money Lenders, Hard Money Lenders, Small Business Owners, Flippers, Holders, Short Sellers, Apartment Owners and Managers, Hotel Owners, Mobile Home Park Managers and Owners, Brokers of Real Estate and Mortgages, Realtors, 5, 6 and 7 digit earners, People in the know and folks who are just learning. The possibilities of joining this network are endless. NAREIA caters to ALL levels of development. We have something for everybody. Including You! I’ve already shown you plenty of examples of others who made the right choice and joined Robert, and are now enjoying their success. I’m looking forward to see you in person at the event. RSVP NOW. P.S. – Remember, the free admission and super bonuses are only available if you register IN ADVANCE. If you show up at the door, it’s $497.00 per person for Members and $997 for non-members, and only IF there’s space available. Don’t delay, ACT NOW for the sake of yourself, your family and your financial future. P.P.S. – If you want to stop working 40 to 60 hours a week making just enough to afford your monthly expenses, and want the freedom in your life to spend time with family, friends, hobbies and pretty much do what you want. There is no better way for you to achieve that than to set up a residual income for yourself by investing in real estate. P.P.P.S – If you had financial freedom and the time to do whatever you like, what would you do? How much would you accomplish? Now ask yourself, could you do and accomplish all those things if you keep living the way you do right now, and be well on your way to financial freedom??? ?